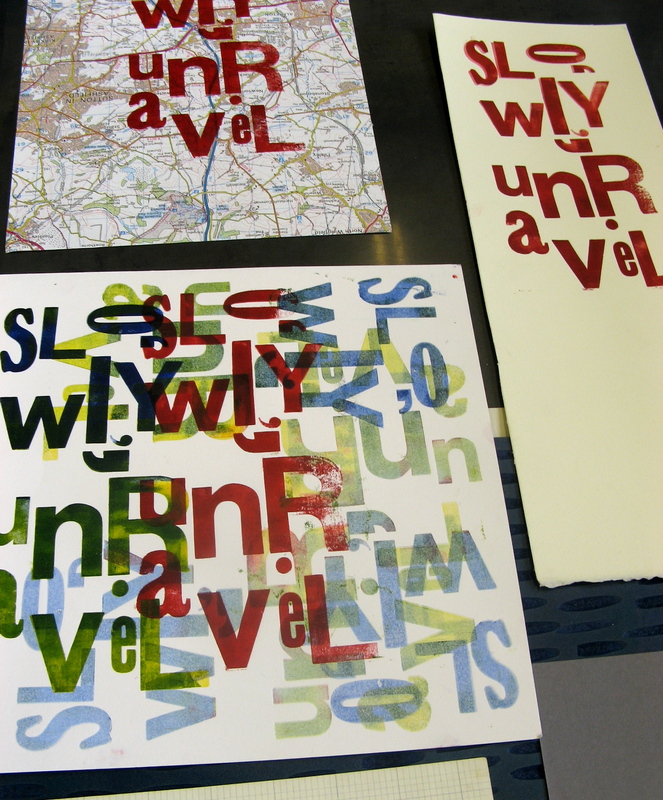 Here are a few photos from the Letterpress course I taught at the Cardiff Open Art School, where we explored both traditional and more playful approaches to the printing of type. 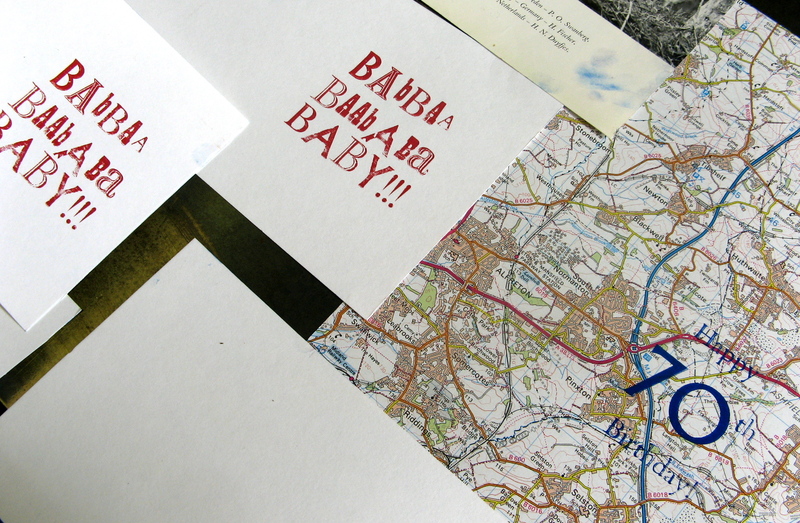 ‘Twas a pleasure to run this course – and there’ll be more of these coming in the spring. 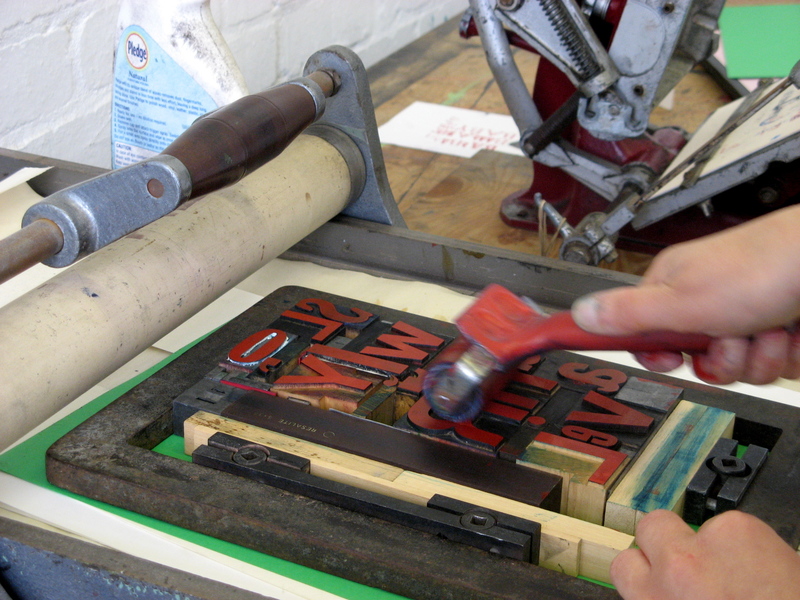 Keep an eye on the COAS website for future courses (dates to be confirmed shortly). 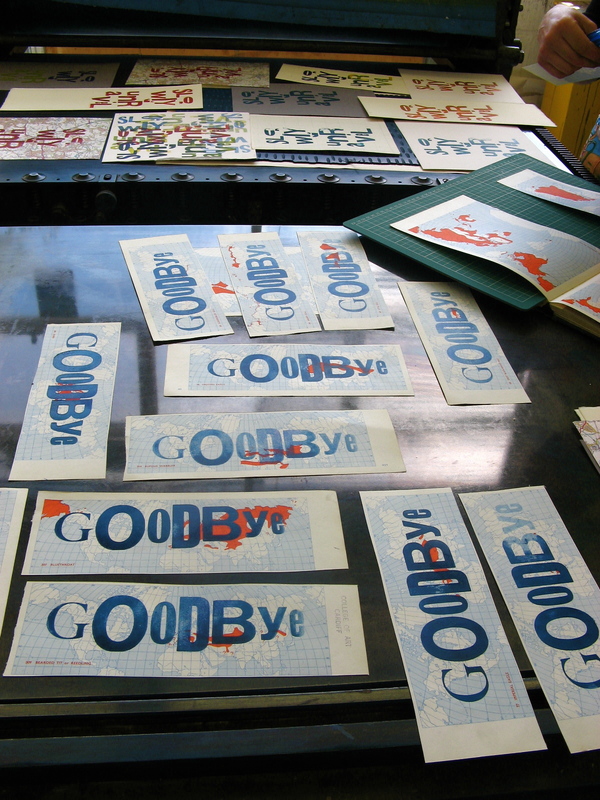 Two of the people on the course were graphic designers / illustrators, so we had a lot to talk about. 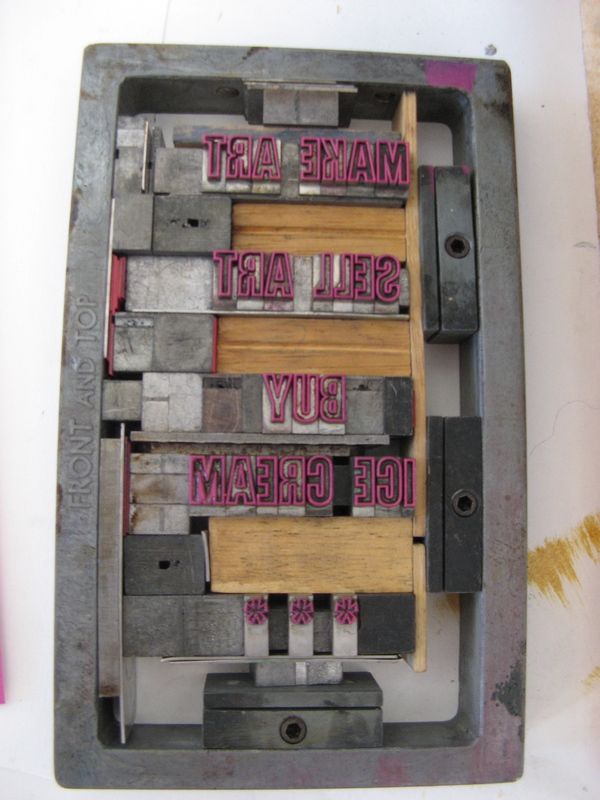 So this weekend’s recommendation is the work of Lucy Daniels, greeting card extraordinaire and Matt Joyce, who works at Cardiff design studio See What You Mean. 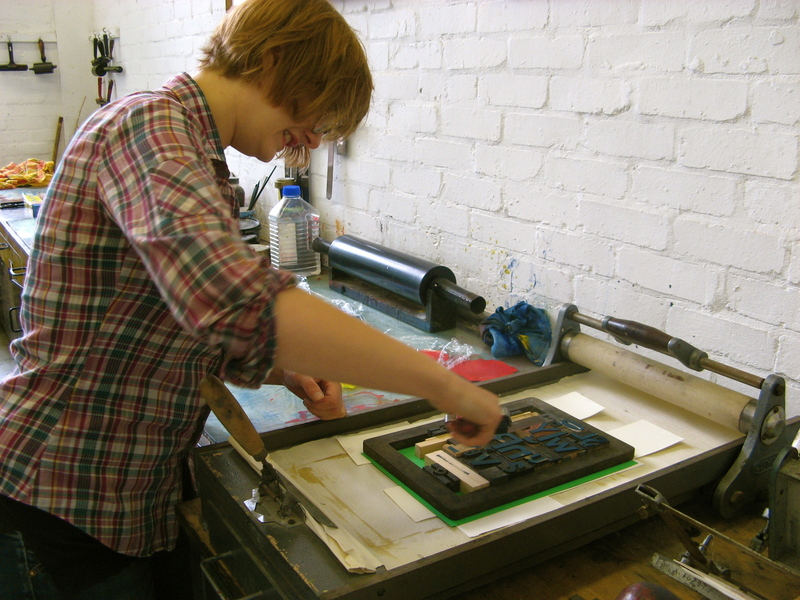 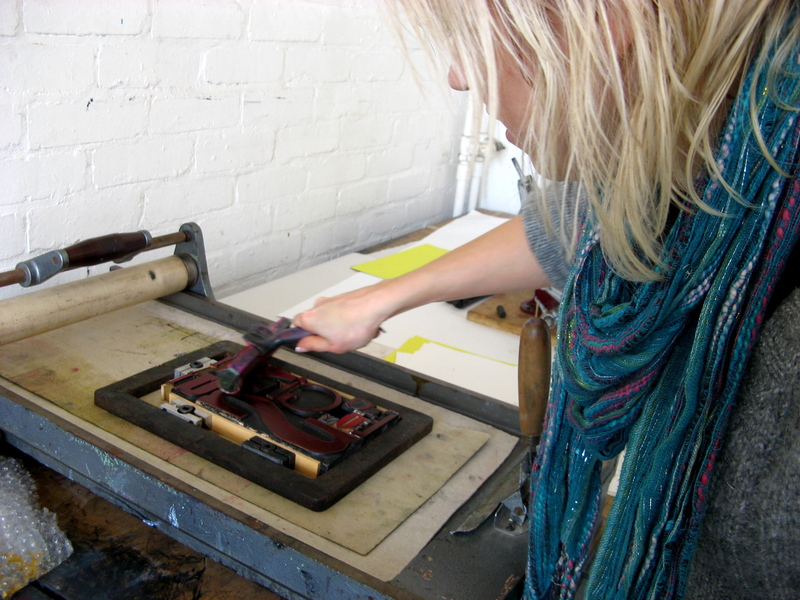 There’s to be a printmaking exhibition… showcasing work produced in the print-related evening and day classes run by COAS. 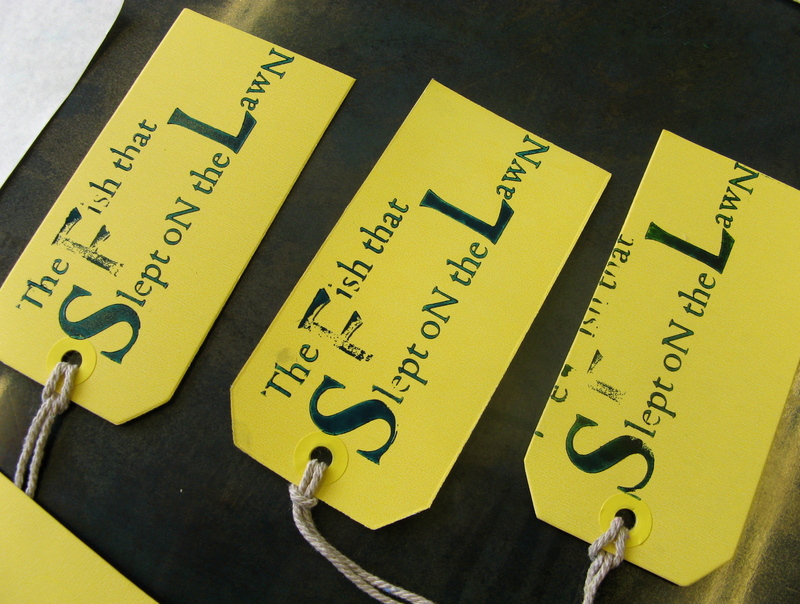 It’ll be held at Howard Gardens campus so you can see some of the photographed work for real. 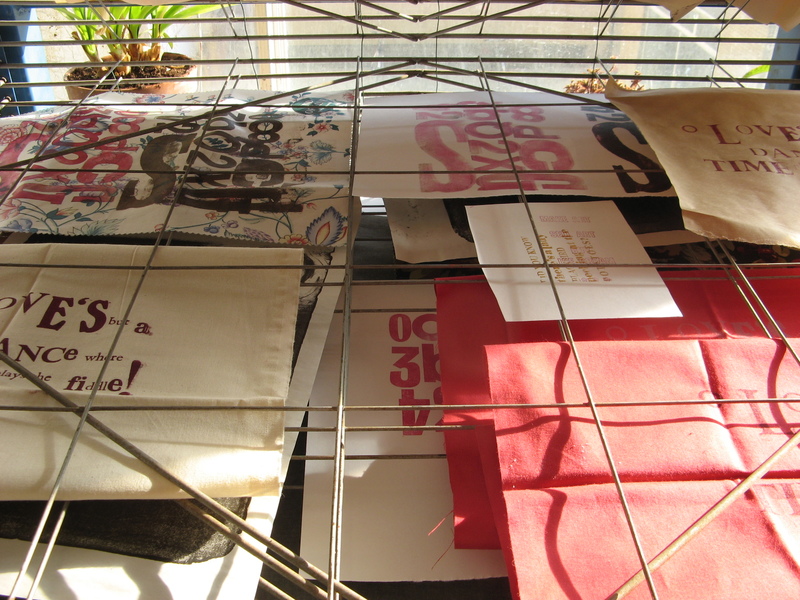 Plus I’ll be putting some of my screen prints in which is exciting – at tomorrow’s class I’ll be printing an 8-fold book called ‘Did you know that flapjacks can rhyme?’ – pictures to be posted here soon. 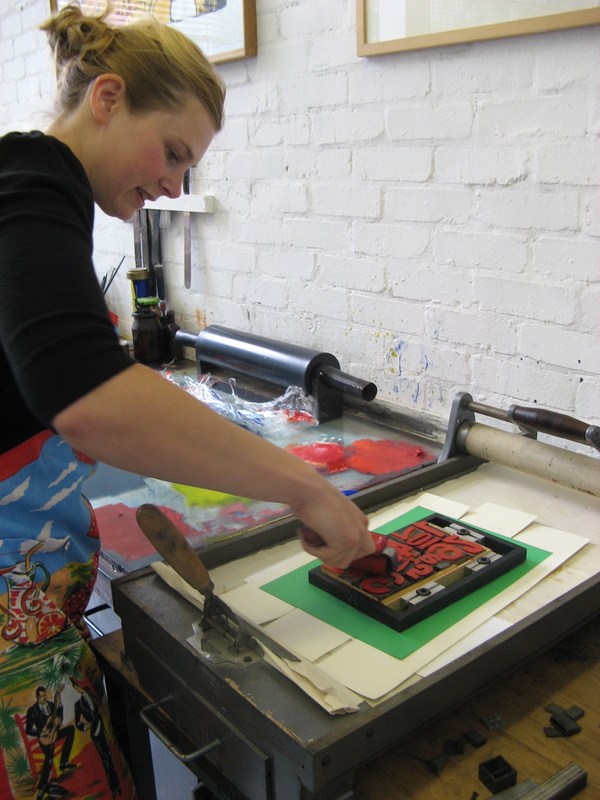 All pictures copyright Sarah Edmonds / the artists! 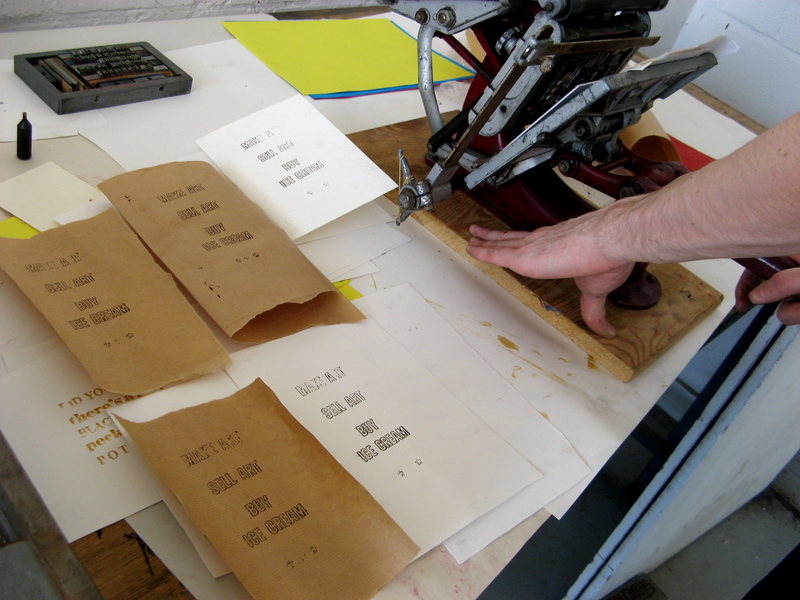 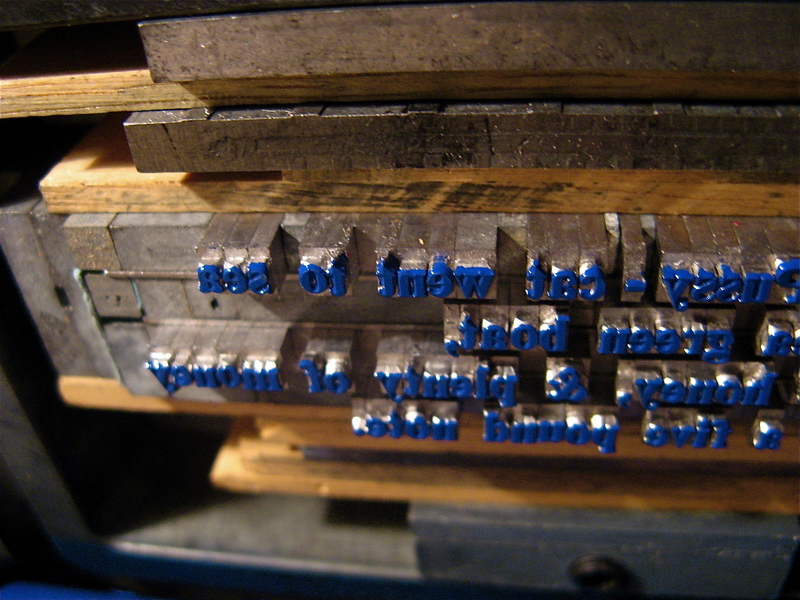 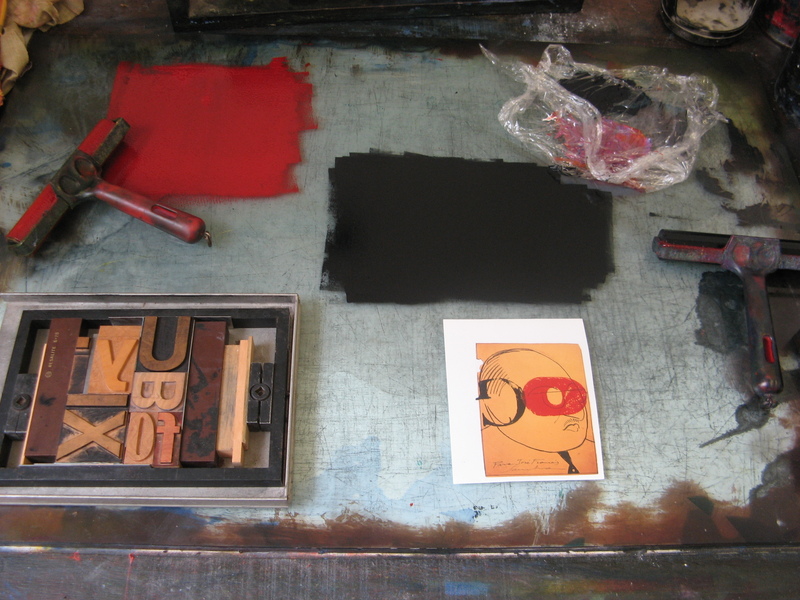 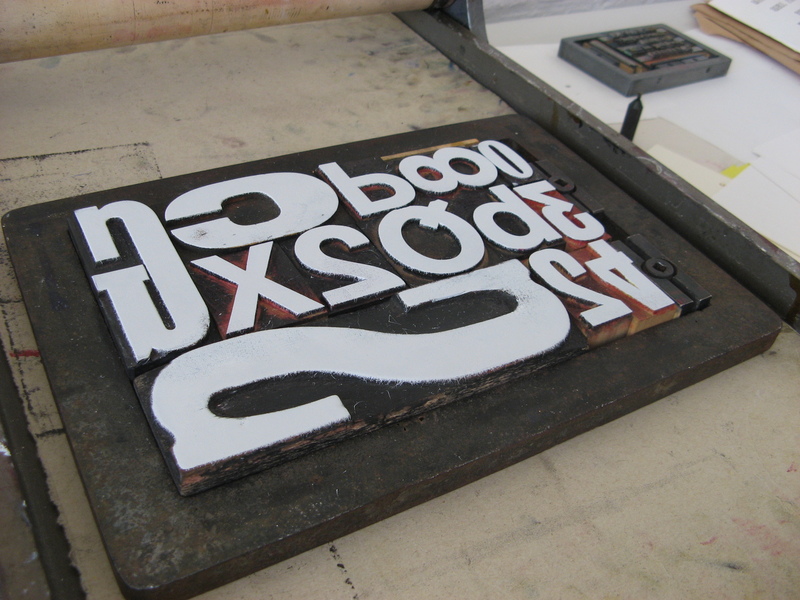 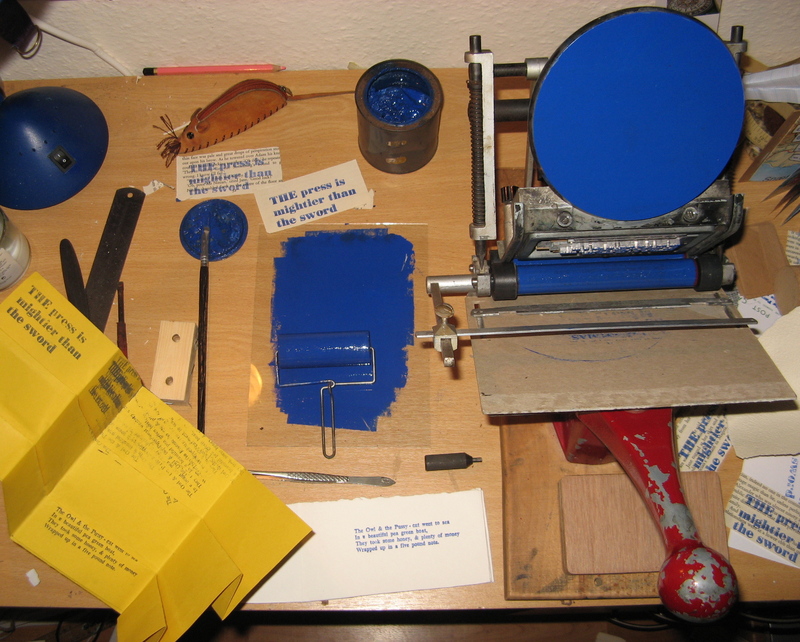 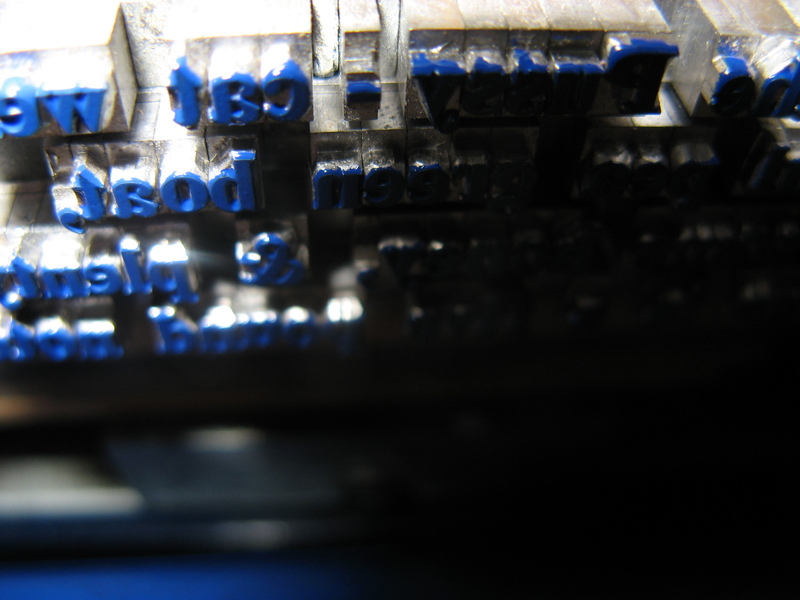 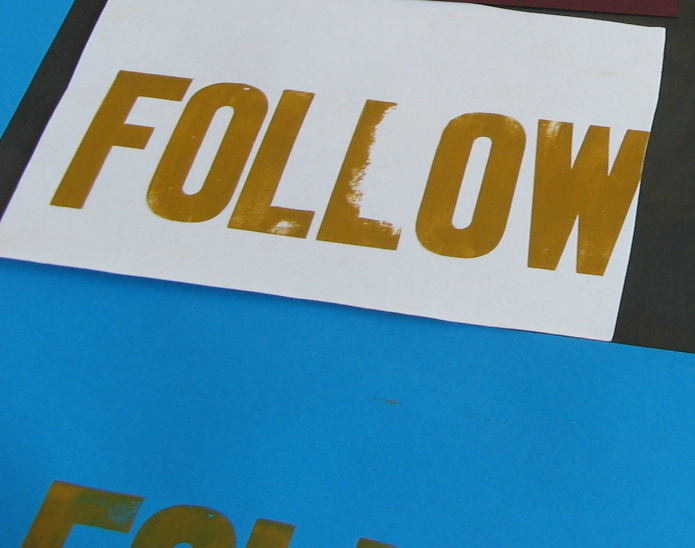 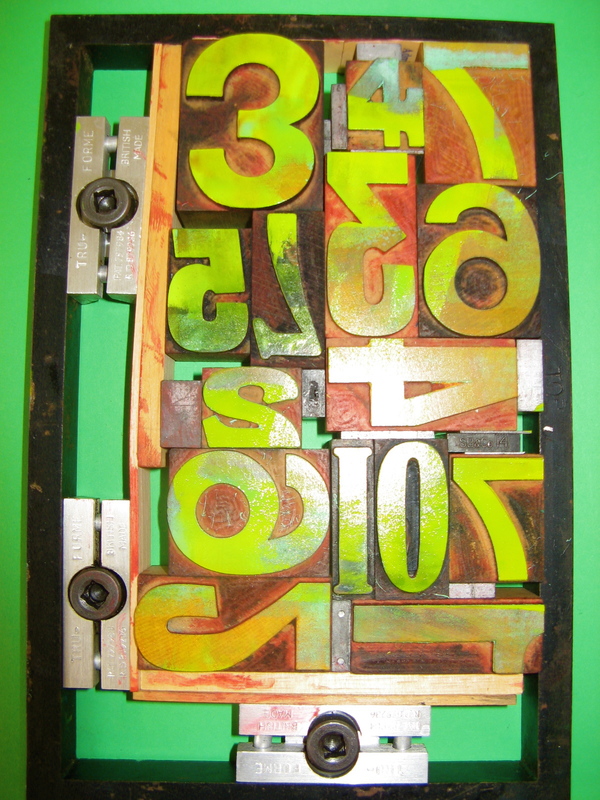 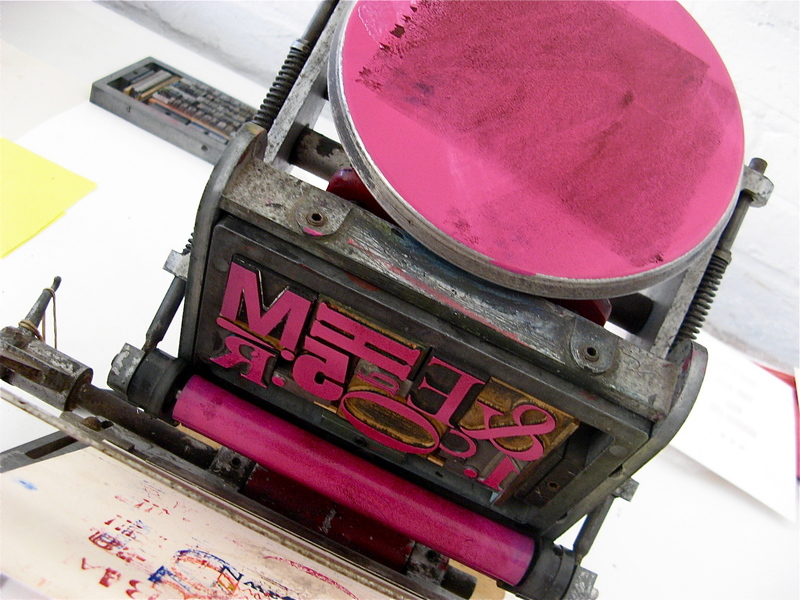 The Letterpress weekend course at Howard Gardens will run again next year. 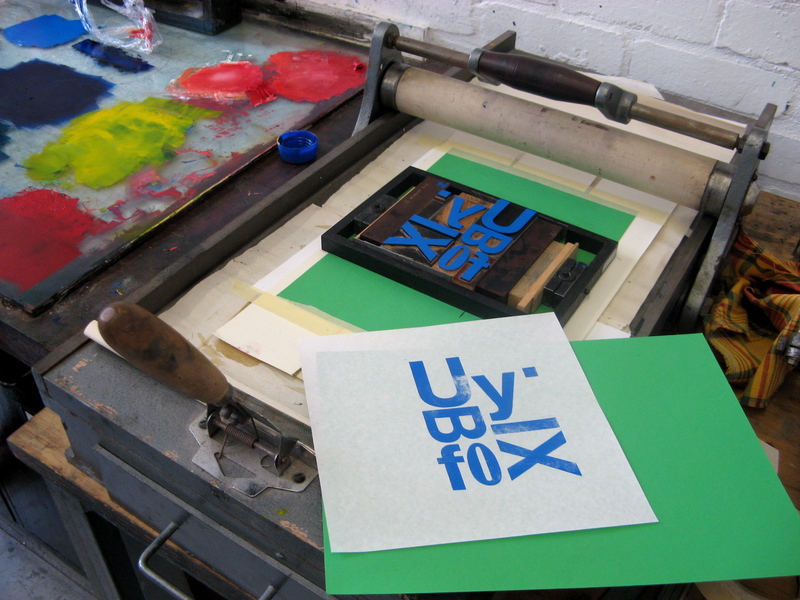 Keep checking the WORKSHOPS page for news of forthcoming classes / creative get togethers etc. 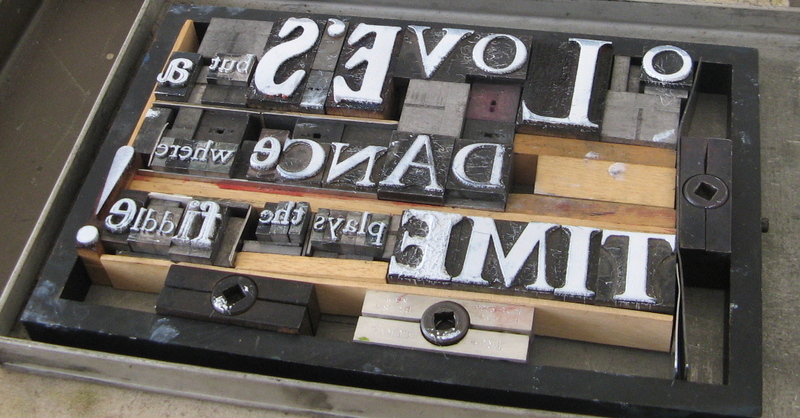 We four ladies of letterpress from this weekend hope to meet again (sounds like the witches of Macbeth!) 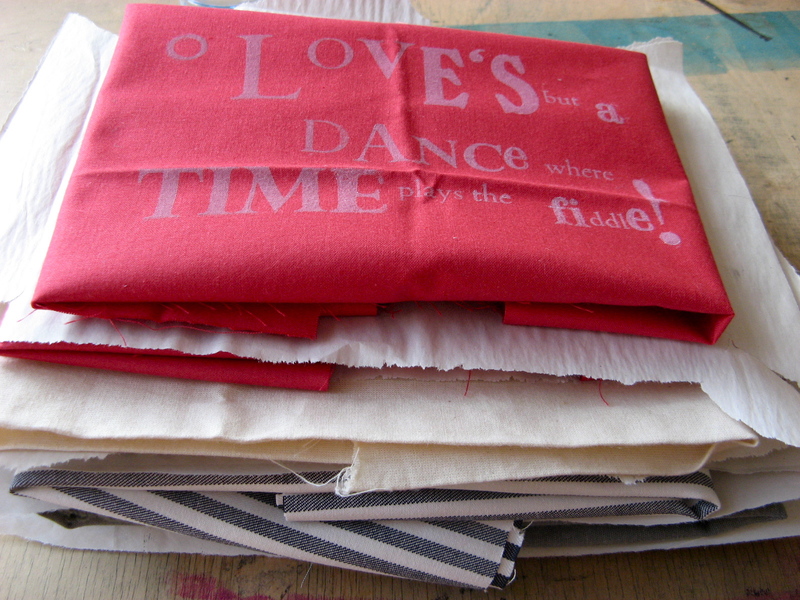 for a crafty catch up! 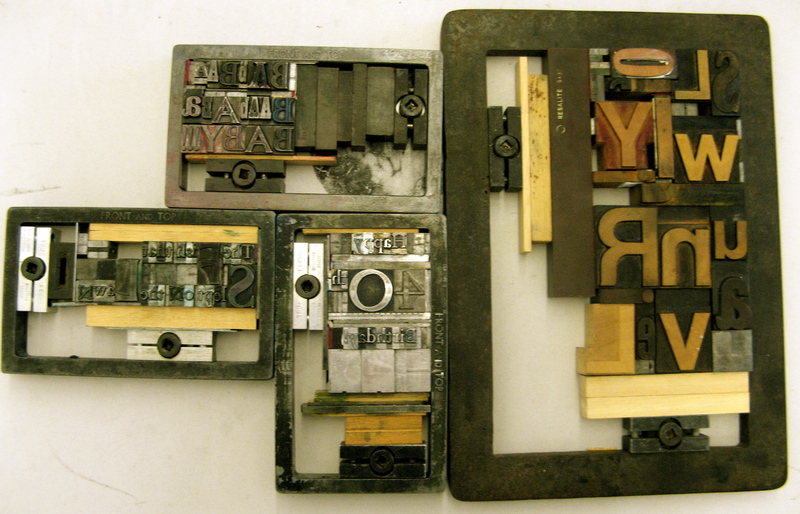 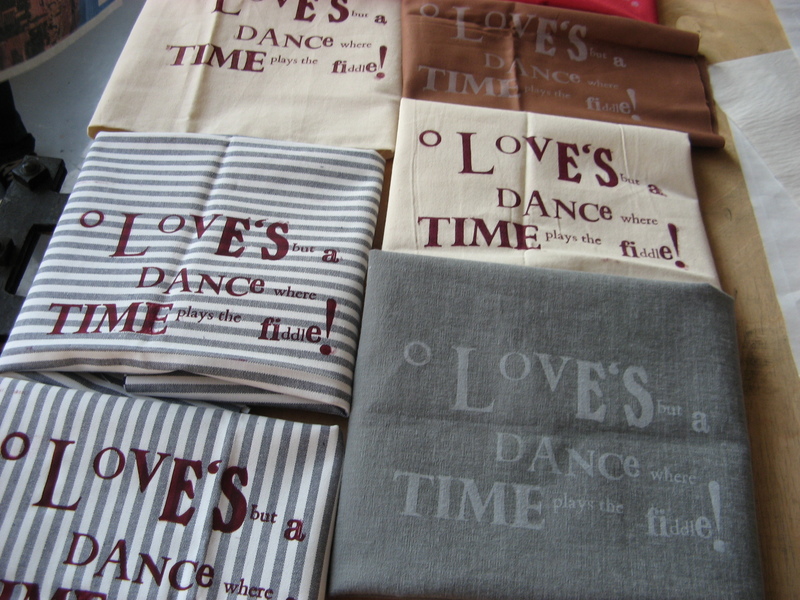 I was pleased to win a load of interesting type on eBay last week, which should be arriving in the post very soon. 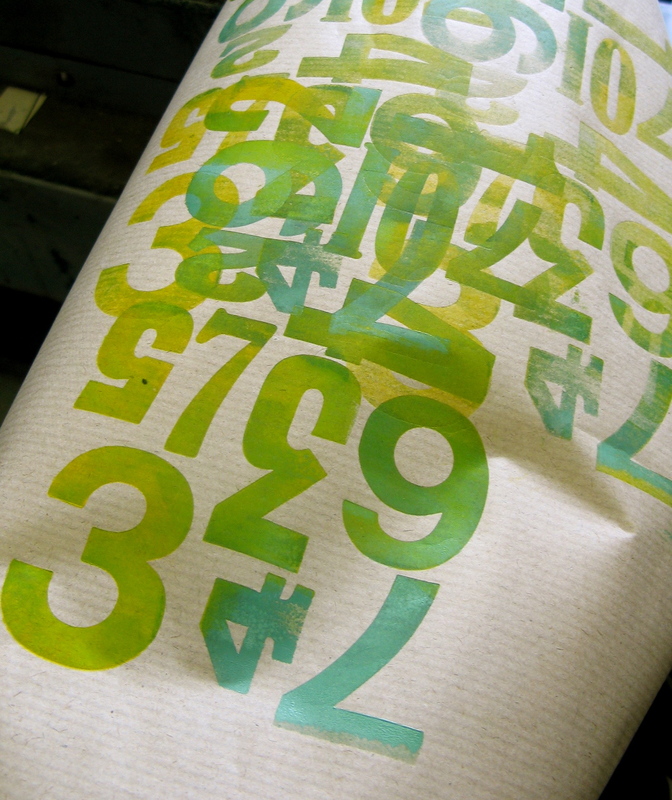 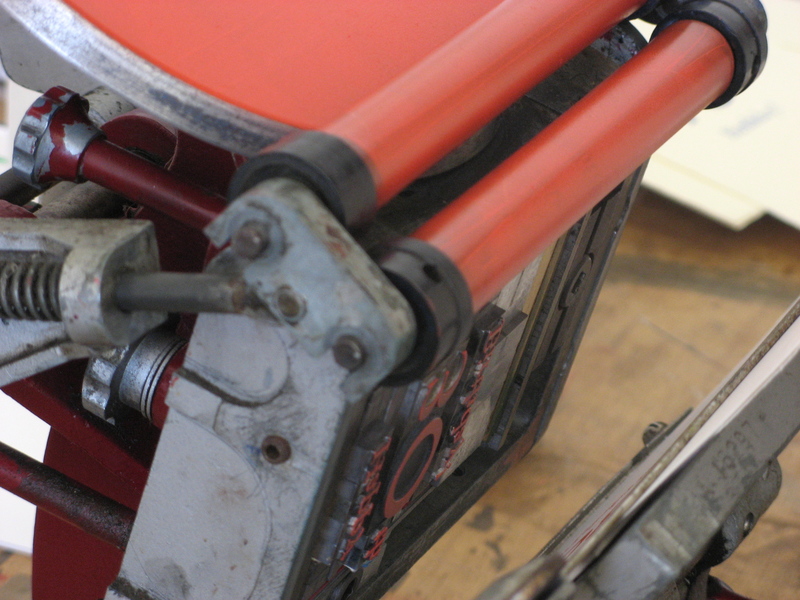 Expect some further letterpress play coming soon from me!